Michael Roberts' new CD release is 76:51 minutes long with 22 tracks. The music is inspired from the following Modern Dance Techniques: Bella Lewitsky, Martha Graham, Merce Cunningham, Joe Goode, Jose Limon. Mostly Piano with some percussion. Violin solos improvised by James Mark. Excerpts of Original Music for the MODERN DANCE CLASS - Volume One are in MP3 format. 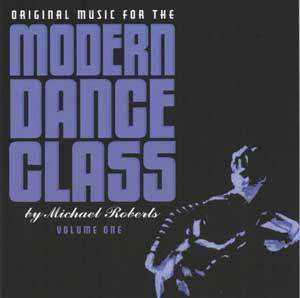 Original Music for the Modern Dance Class - Vol 1 is $23.00 for the CD.